Causality is existential for all the natural sciences and especially for physics. Causality is magic. It is magic because why it should be so is inexplicable. The most fundamental, enabling assumption for all the natural sciences is that identical causes lead to identical effects. The corollary that non-identical events are proof that the causes were not identical is also unquestioned – and unquestionable – for the scientific method. (However it is permitted that different causes may produce effects which are identical). Modern physics and relativity constrain causality. Cause and effect is restricted to the past and future light cones for any event. But this, in itself, implies a region (undefinable) where causality does not apply and does not even try to address why the magic that is causality exists. Causality means that an effect cannot occur from a cause that is not in the back (past) light cone of that event. Similarly, a cause cannot have an effect outside its front (future) light cone. Being a fundamental assumption, it is not possible for the sciences and the scientific method to address why the assumption of causality exists. The First Cause problem is declared to be uninteresting to science just because it cannot be addressed. Allowing the problem would place all of science within a paradox. If everything has to have a cause then there must be a First Cause. If some things do not need to have a cause then there can be no certainty that anything is the cause of anything else. The First Cause problem is what actually unifies science and philosophy and theology and religions. None have – or can have – an answer. They just use different labels for the undeniable magic. It has been debated since ancient times but I like the way Bertrand Russel expresses it. Perhaps the simplest and easiest to understand is the argument of the First Cause. (It is maintained that everything we see in this world has a cause, and as you go back in the chain of causes further and further you must come to a First Cause, and to that First Cause you give the name of God). That argument, I suppose, does not carry very much weight nowadays, because, in the first place, cause is not quite what it used to be. 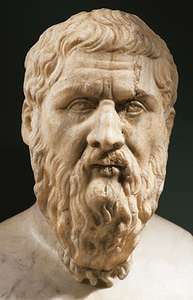 The philosophers and the men of science have got going on cause, and it has not anything like the vitality it used to have; but, apart from that, you can see that the argument that there must be a First Cause is one that cannot have any validity. I may say that when I was a young man and was debating these questions very seriously in my mind, I for a long time accepted the argument of the First Cause, until one day, at the age of eighteen, I read John Stuart Mill’s Autobiography, and I there found this sentence: ‘My father taught me that the question, “Who made me?” cannot be answered, since it immediately suggests the further question, “Who made God?” ’ That very simple sentence showed me, as I still think, the fallacy in the argument of the First Cause. If everything must have a cause, then God must have a cause. If there can be anything without a cause, it may just as well be the world as God, so that there cannot be any validity in that argument. It is exactly of the same nature as the Hindu’s view, that the world rested upon an elephant and the elephant rested upon a tortoise; and when they said, ‘How about the tortoise?’ the Indian said, ‘Suppose we change the subject.’ The argument is really no better than that. There is no reason why the world could not have come into being without a cause; nor, on the other hand, is there any reason why it should not have always existed. There is no reason to suppose that the world had a beginning at all. The idea that things must have a beginning is really due to the poverty of our imagination. Therefore, perhaps, I need not waste any more time upon the argument about the First Cause. Russel is wise not to debate it further because penetrating the wall of the unknowable is a futile exercise. It is in the realm of magic. Leibnitz’s formulation of the Principle of Sufficient Reason is only a formal description of Causality and defines the limits of empiricism and the scientific method. It cannot, however, penetrate the First Cause Problem. The Principle of Sufficient Reason stipulates that everything must have a reason, cause, or ground. For every entity X, if X exists, then there is a sufficient explanation for why X exists. For every event E, if E occurs, then there is a sufficient explanation for why E occurs. For every proposition P, if P is true, then there is a sufficient explanation for why P is true. This is a stipulation, a statement of an assumption. But it is no explanation. Science is limited to where causality occurs. Physics admits causality is constrained by past and future light cones. 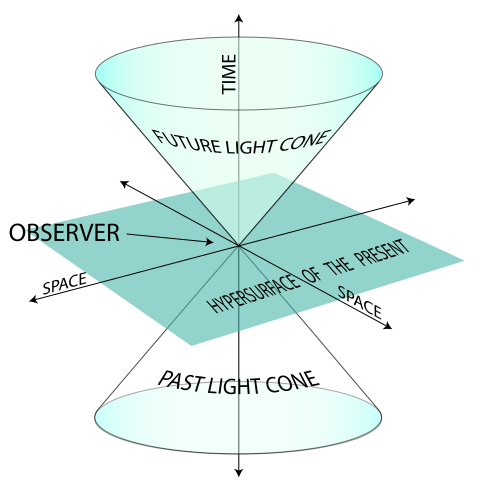 Physics therefore admits that what lies outside the past and future light cones is unknowable. All science depends upon magic. Physics (and all science) is about describing what can be observed and elucidating the causal relationships between observations. The process of science presupposes causality. If causality is not always a fundamental and pervasive truth, the scientific method cannot elucidate anything. No system of reasoning can prove the assumptions the system itself is built upon. Science cannot, therefore, prove the existence of what it presupposes already exists. Causality also implies the existence and the flow of time. Effect, it is assumed, can never precede cause. The process of science is necessarily blind to whatever may lie outside its suppositions. Which is why physics cannot deal with the non-existence of time (or space-time) where all the elucidated natural laws must be suspended. Similarly, physics cannot allow of, or deal with, the unknowable. Many physicists merely deny the unknowable with the proposition that all things that have been, that are or that can be, are knowable and can – in principle – be explained by causality. But denying the unknowable leads to a deterministic world which, in turn, leads to the certainty of omniscience. It does not have to be human omniscience, but omniscience or any omniscient being becomes indistinguishable from a god. Determinism’s omniscience is nothing but divinity through the back door. The unknowable lies outside the realm of science in general and of physics in particular. Unknowability applies not only to the existence of causality and time but also to the non-existence of nothingness. Clearly “empty” space which has dimensions and which allows the operation of natural laws is not nothing. Space which allows the passage of radiation or gravity waves cannot be nothing. Anything which has, or is attributed, any kind of property cannot be nothing. Our universe is expanding, it is said. It is also said that it is expanding into nothingness; where space and time emerge as the universe expands. But if the surroundings of the universe allow the expansion of the universe then such surroundings have a describable property and cannot be nothing. Nothingness is – and must be – unknowable. Physics and philosophy both find defining nothingness a slippery business – but so they should, as they must for any unknowable thing. As moderator Neil deGrasse Tyson, ….. said, “If laws of physics still apply, the laws of physics are not nothing.” …… But there is a deeper kind of nothing, argued theoretical physicist Lawrence Krauss of Arizona State University, which consists of no space at all, and no time, no particles, no fields, no laws of nature. “That to me is as close to nothing as you can get,” Krauss said. Other speakers offered different ideas for nothing, such as a mathematical concept of nothing put forward by science journalist Charles Seife, author of “Zero: The Biography of a Dangerous Idea” (Penguin Books, 2000). He proposed starting with a set of numbers that included only the number zero, and then removing zero, leaving what’s called a null set. “It’s almost a Platonic nothing,” Seife said. The theoretical physicist Eva Silverstein of Stanford University suggested a highly technical nothing based on quantum field theory that involved a quantum system lacking degrees of freedom (dimensions). “The ground state of a gapped quantum system is my best answer,” she said. Holt suggested another idea of nothing. “The only even remotely persuasive defintition of nothing I’ve heard form a physicist came from Alex Vilenkin,” a physicist at Tufts University, Holt said.”Imagine the surface of a ball. It’s a finite space but with no boundary. Then imagine it shrinking down to a point.” That would create a closed space-time with zero radius. Every creation myth is about something appearing from nothingness. Even articulated by a physicist every theory about how things came to be, is just another creation myth. 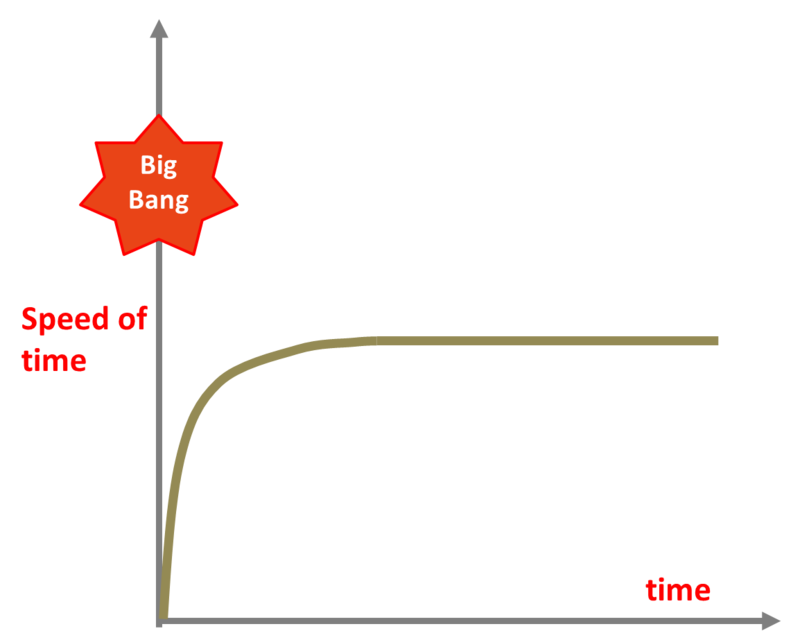 The Big Bang singularity is unknowable. I find many of the origin theories unconvincing where nothingness at the macro-level is allowed to produce somethings at the micro level, provided that not-somethings are also produced. Matter begets anti-matter and gravity (negative energy) begets positive energy, and the sum is zero. It is all very conveniently contrived except that why a particular something (and its negation) come to be, rather than some other something remains in the unknowable. Nothingness is perhaps just where consciousness comes from – and where it goes. If space is not empty, what is? The ultimate void? Posted in Physics, Trivia | Comments Off on How big is the universe? On balance it would still be a global nothing but with local clumps of somethings and not-somethings. This is a very handy subterfuge often used in science and mathematics. When looking for something unknown, zero can always be converted into the sum of something and not-something. So it is always possible to imagine what the something is, evoke it from zero and claim that the not-something exists but cannot be found. Anything can be derived from nothing provided its negative counter-part can also be tolerated (in absentia if necessary). We haven’t a clue as to where this matter came from. So we devise the concept of matter and an equivalent amount of anti-matter at the origin of everything. But we cannot find this anti-matter in sufficient quantities to negate all the matter we observe. The global nothing is not preserved. That leads to the next subterfuge. It was all energy to begin with. Some of that energy converted itself into matter. That does not quite explain where that energy came from. Of course “nothing” might have decomposed into lumps of energy and of not-energy. The energy, it is then surmised, is that which is driving the expansion of the universe or the inflation of the universe or both. The lumps of not-energy are more elusive. Where that might be is not yet part of the next subterfuge. 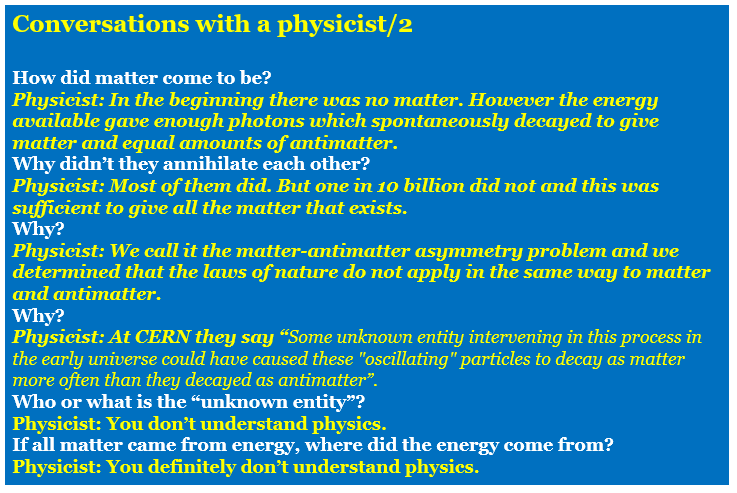 It might be that matter has always existed, but in that case where did the energy moving that matter around come from? And why? Scientists suspect that the Big Bang was a huge tear the fabric of space that ripped equal amounts of matter and antimatter into existence. But today, everything we see is made almost entirely of matter. Physicists know that something must have happened to tip the balance in favor of matter during the formation of the universe. But the question remains, what was it? Antimatter particles are reflections of their matter counterparts. They are practically identical, except they have opposite electric charges. For instance, the antimatter twin of the negatively charged electron is the positively charged position. If an electron and positron were to meet and metaphorically ‘shake hands,’ they would annihilate each other into pure energy. Scientists are left with this puzzle: If equal amounts of matter and antimatter were created in the Big Bang—and if matter and antimatter annihilate each other into a ball of pure energy on contact—then the universe should contain nothing but free, unorganized energy. But we exist, and therefore something must have happened to allow matter to survive and antimatter to all but disappear. Scientists suspect that a tiny portion of matter—about one particle per billion—survived from the early universe to create all the planets, stars and galaxies we see today. And while matter and antimatter look almost identical, scientists discovered that the laws of nature do not apply to them equally. Researchers found that some matter and antimatter particles can spontaneously transform into their matter and antimatter counterparts. 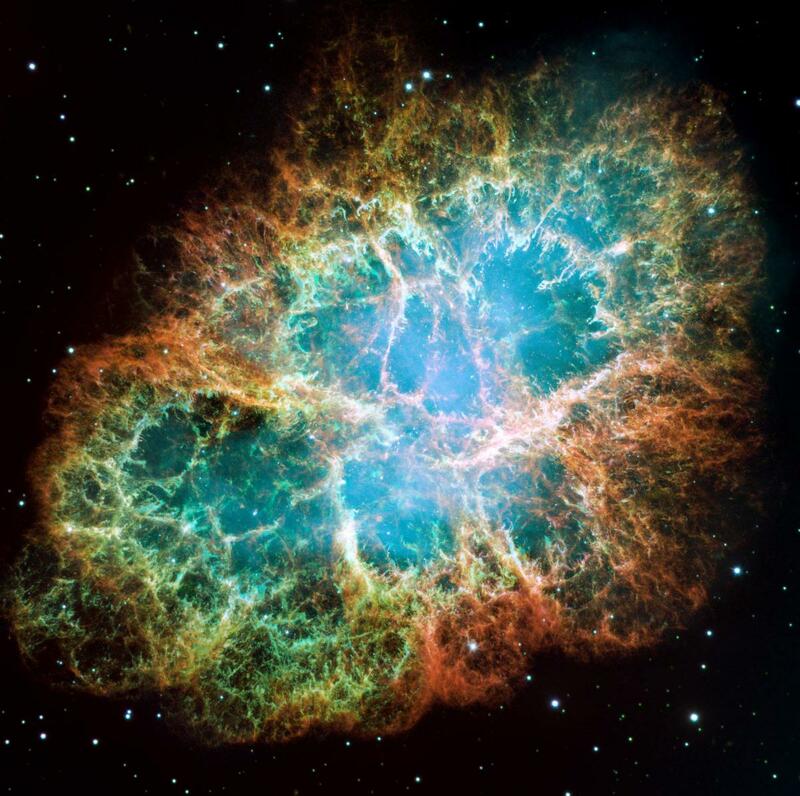 They also found that matter and antimatter particles decay at slightly different rates. Scientists suspect that there is some hidden process influencing the behavior of matter and antimatter—a hidden process that could explain these puzzling observations. US scientists and our international collaborators study the subtle differences in the behavior of matter and antimatter particles at the LHC to paint a clearer picture of why our universe is matter-filled. The bottom line is that modern physics hasn’t the faintest idea of where the matter and energy in the observable universe came from or why. 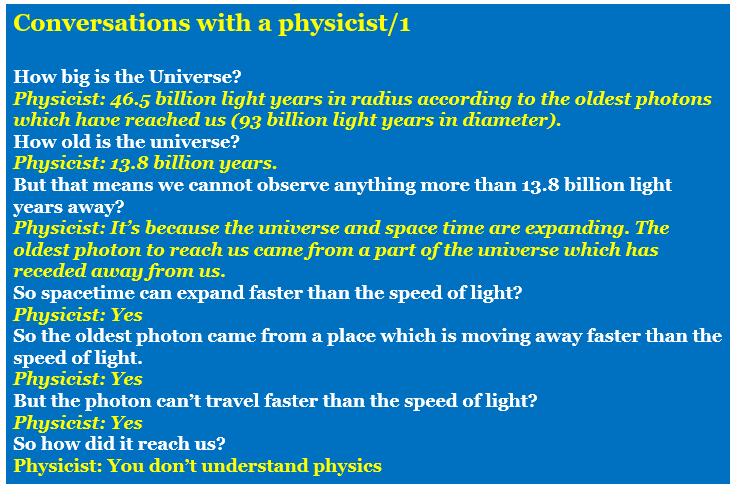 At least physics attempts to find answers. Religions brush aside the question and just assume a Creator where the question of where the Creator came from is disallowed. The magical speed of an inconstant time (1). Once upon a time (till about the 15th century) timeless meant badly timed. Since the 16th century it has been used almost exclusively to mean eternal and untimely is now used for badly timed. What puzzles me is that a time period – however measured – is not – and cannot be – time itself. A time period is to distance as time is to length. Time periods are all measured by observing a change which is assumed to be regular. We once thought the length of a day to be unchanging and took the day to be a period of time. We made the second fixed part of an unchanging day. Then we found that the rotation of the earth around its own axis was not regular. The period called a day was not an absolute measure. We have now shifted to the assumed regular frequency of vibration of a caesium atom in a particular state. This frequency is itself a time derivative – a change assumed to be regular (constant over time). But the regularity is an assumption. But even if this frequency eventually decays, and a second becomes longer than it is today, what is it that actually passes? Does time flow? If it does, something called time must flow with respect to something else and it must therefore have a speed (a derivative). Modern cosmology would have us believe that space and time are inextricably intertwined to make up a continuum – a la Einstein. 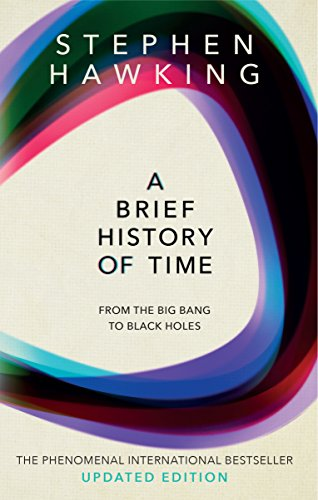 Before the Big Bang there was no space and there was no time. And then came the Big Bang Singularity and both space and time were created (which is remarkably like a Creation Event). Time began to pass and there was space for the universe to expand into. But if time was not flowing, and then began to flow, it follows that it accelerated from a zero speed to whatever speed it flows at now. If the speed of time changed once, it can change again. It could go negative. In some other universe the omelette would give rise to the egg. But this brings us no closer to what time is. We have to distinguish between the consequences of the flow of time (duration) and time itself. Without the flow of time there is no change, there is no motion. There is no life without the flow of time. It could be that if no change occurs, then time has not flowed, that the flow of the thing called time is necessary for change to occur. But change and motion are not themselves time. If the postulated space time continuum exists then there is no flow of time without space. If time does not flow there is only stasis. For matter of any kind to exist, even a fundamental particle, time must flow. For energy to exist, time must flow. And even if the wave theory prevails, the flow of time is required. Causality depends upon the flow of time. Not time, but the flow of time, is necessary for before and after and cause and effect. Whether time is an intrinsic property of the universe or an emerging property it would seem to be a quantity that is unknowable within the dimensional constraints of the human mind. Perhaps the flow of time we observe is merely the shadow cast by something from a higher, unknowable dimension. But there is nothing that requires the flow of time to be constant or regular. As the universe and space expand perhaps the speed of time slows down. It was Fred Hoyle who first used the term “Big Bang” but it is difficult not to associate Stephen Hawking with the Big Bang Theory. But for me Stephen Hawking will forever be my inspiration for considering the ultimate question — What is time?